Discover the beauty of the Sunshine Coast while having an amazing time out on the water with one of the two Bribie Island Jet Ski Tours. Give your special someone or family member a 60 or 90 minute adventure that will take them out on the beautiful and pristine waters of the Sunshine Coast. These tours are action packed but also educational, giving you insight into the first circumnavigation of Australia in 1791, but also insight into the local eco-system. 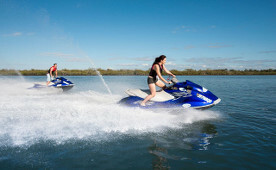 Explore the waterways around Bribie Island and Caloundra with the 60-minute jet ski adventure! 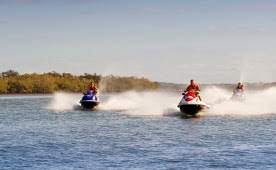 Hop on a jet ski for an action packed tour of the waterways along the Caloundra coastline and Bribie Island!